HOME / TRENDING / ROCK ON!! 2 POSTER RELEASED AND WE HAVE NEVER BEEN MORE EXCITED! Rock On! !, the one movie Gen Y absolutely loved to the core when it came out! What a standout, we say! 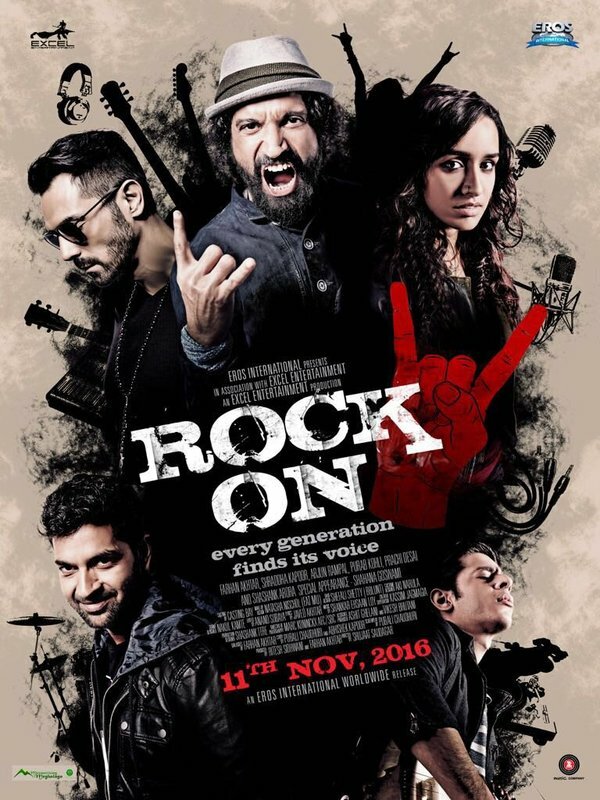 Got us so hooked; it wasn’t just about the youth-like feel of the film, it was also about the amazing music it had, obviously inspired by the genre of rock. It was a breakthrough, right there. But something happened yesterday! Something that was much awaited! An unveiling of a particular poster! You guys are damn right! The sequel’s first poster just came out yesterday; and trust us, it looks even better than the first one! Man, we cannot wait! 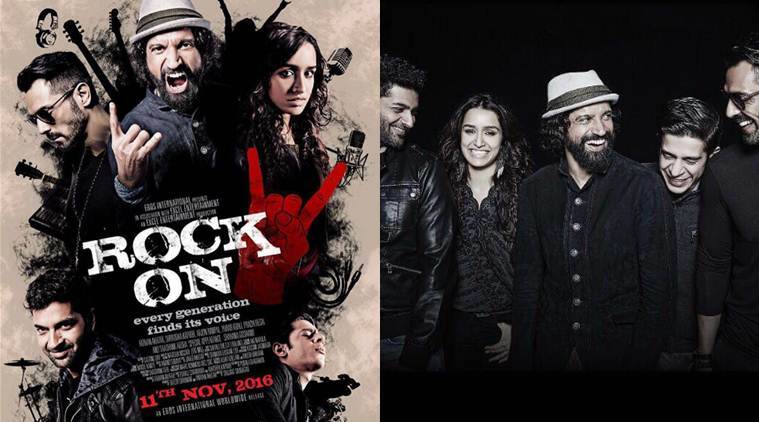 Looking at the exciting poster, what we see here is this really enthusiastic Farhan Akhtar who is probably just waiting to burst his emotion of anger and will right out of it, an emotional Shraddha Kapoor, a hot AF Arjun Rampal and a smiling Purab Kohli! 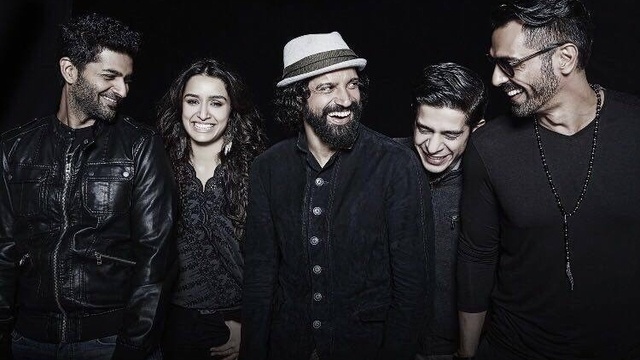 We also have a newcomer in the film who was not seen in the first movie just like Shraddha, and that person is Shashank Arora. This man is a real musician and is the first Indian to have his films to enter both Cannes and Sundance Film Festival for his acting! Needless to say, we think he is going to kill it in this one too! The greatest thing we see here is the change in looks. Everybody looks more mature, edgier and emotional than the previous film’s looks whether in terms of fashion or hairstyles or sheer expressions. All we can say is, the poster looks raw and we really love it! Although, will the soundtrack of this film succeed the one of the original? Will Sharddha live up to the franchise’s expression? Will Luke Kenny’s (Rob in the previous film) absence in the film cost them hard? Only time will tell! 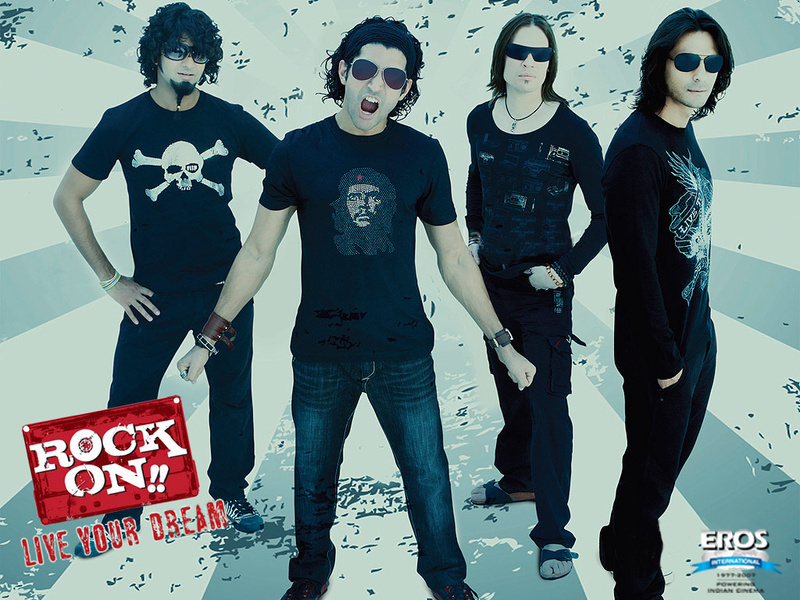 Rock On!! 2 directed by Shujaat Saudagar and produced by Excel Entertainment is all set to release on the 11th of November and we wish them all the luck in the world!